Cape Elizabeth girls and Cheverus boys top the lists. 1. Cape Elizabeth: Runners-up in Class B by seven points last winter, the Capers boast a ton of young talent, led by a sophomore class that includes Olivia Tighe, Alicia Lawrence, Hope Campbell, Corinne Wight, Jade Lindenau and divers Kelsey Kennedy and Maggie Pierce. Freshmen Emily Ecker (potential all-American) and Caroline Mahoney will make waves. Rose Baillie and Maggie Baker provide senior leadership. 2. Morse: Coach Todd Marco believes this is the best girls’ team he’s had in 10 years. The Shipbuilders, fifth in Class B last winter, return an outstanding core with seniors Ann Tolan, Brittany Kaler, junior Leah Totman and sophomores Ella Martin and Emma Warner. Add talented freshman Emily Martin, Laney Schults and twins Olivia and Harley Harper, and Morse will give Cape Elizabeth a run for the title. 3. Brunswick: The two-time defending Class A state champions return Telegram Swimmer of the Year Caitlin Tycz, the state record holder in the 100 butterfly. Graduation hit the Dragons hard, however. Sophomore Alex Morse is the only other individual to place among the top six in Class A, although seniors Hannah Escoe and Emily Cowan and juniors Anna Rider and Sophie Blair provided scoring depth. 4. Cheverus: Third in Class A last winter, Cheverus returns more of its lineup than Brunswick or runner-up Scarborough. Senior Abby Longstaff and junior Caroline Arpin lead a veteran group that includes senior Nina Greenwood – the top returning diver in Class A – as well as senior Gabrielle Cholish and sophomore Tholia Hallett. The return of senior Carrie Hight helps make up for the loss to club swimming of junior Sophia Kruse. 5. Greely: The two-time defending Class B state champions suffered significant graduation losses, but with 27 girls, the cupboard isn’t bare. Junior Lily Black and sophomore Courtney Rog lead a half dozen returning scorers from the state meet. The others are seniors Lauren Williams and Sarah Beretich, junior Madison Rawnsley and sophomore diver Julia Bisson. Shane Moore of Cheverus is the defending Class A champ in the 100 freestyle. 1. Cheverus: Seniors Shane Moore and Ben Tompkins will lead the push for a fifth straight Class A state title. 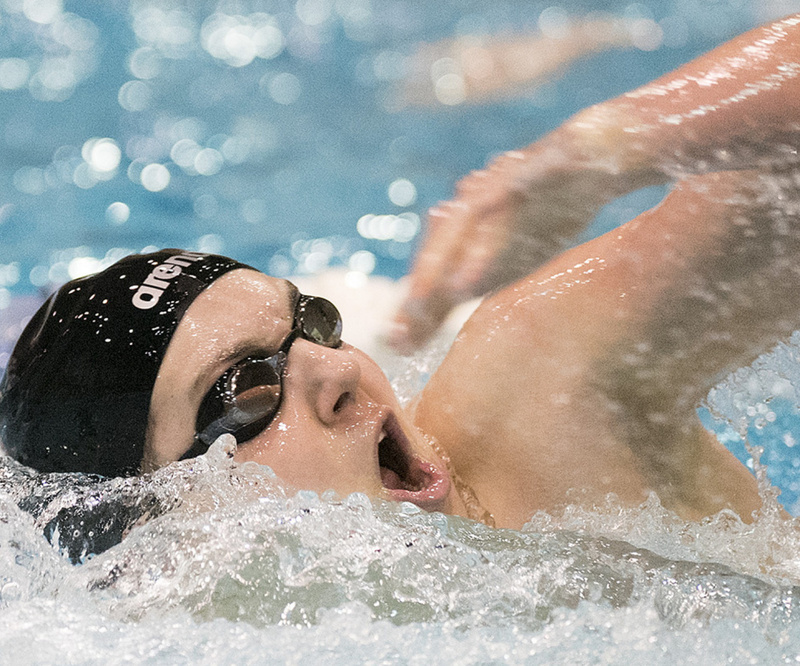 Graduation took a big bite, but the Stags return seniors Gustav Anderson and Raymond Le and sophomore Jeremy Baker, all of whom scored in two individual events at states. Freshmen Chase Cameron and Quinton Hastings will help fill in some of the gaps for a squad that numbers 18. 2. Brunswick: After consecutive runner-up finishes in Class A, the Dragons are eager to win it all. They’ll have to do so without Nate Samson (Florida State) but lost only one other state-meet scorer. Junior Brian Hess leads a squad of 20 that includes seniors Henry Raker and Eddie Capoldo, junior Andrew Samson, sophomore Matt Yost and divers Chris Roderick and Seth White. Freshman Nicco Bartone is strong in breast stroke and backstroke. 3. Cape Elizabeth: After winning the Class B crown in 2015, the Capers finished second to Ellsworth in 2016. Senior Kyle Long, junior Sam Loring and sophomore Oliver Kraft placed among the top seven in two individual events. Seniors Elliot McGinn, Owen Thoreck and Connor Thoreck, junior Andrew Herrera and sophomores Rohan Freedman and Matthew Yim also contributed points. 4. Morse: The Shipbuilders return everyone from a team that placed fifth in Class B. Seniors Tucker Banger and Cameron Fitzgerald lead a contingent that includes seniors Max Gurney, Patrick McKenna and Cameron Marco, junior Ben Willertz and sophomore Dominic Marco. Alex Gurney is among the freshmen who will contribute. 5. Thornton Academy: Coach Kathy Leahy has 16 swimmers set on improving on the Trojans’ sixth-place finish in Class A. A strong junior class headed by Eli Steward and Josh Roberts also includes Joe Vail and Nolan Eisenhaur. Senior Tom Cote also provides a veteran presence and swam on two freestyle relays that placed among the top four in Class A.